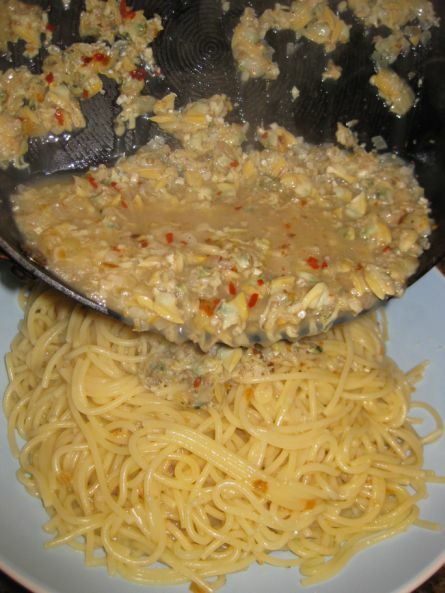 If you do not have a lot of time to cook this is a perfect dish to prepare in less than 20 minutes. 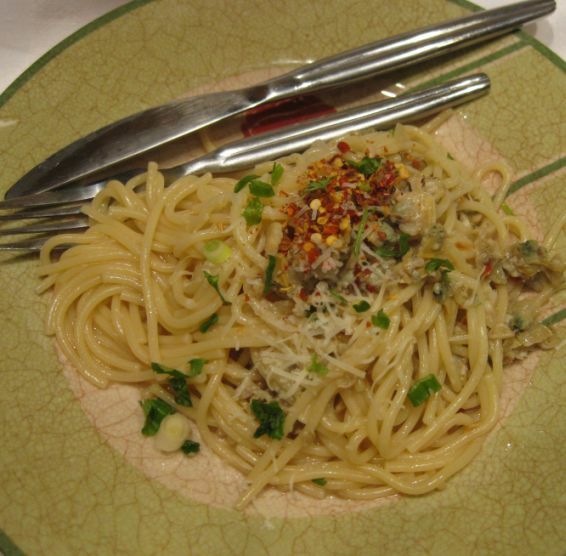 With a few simple ingredients, you can have a delicious homemade spaghetti with clams sauce. 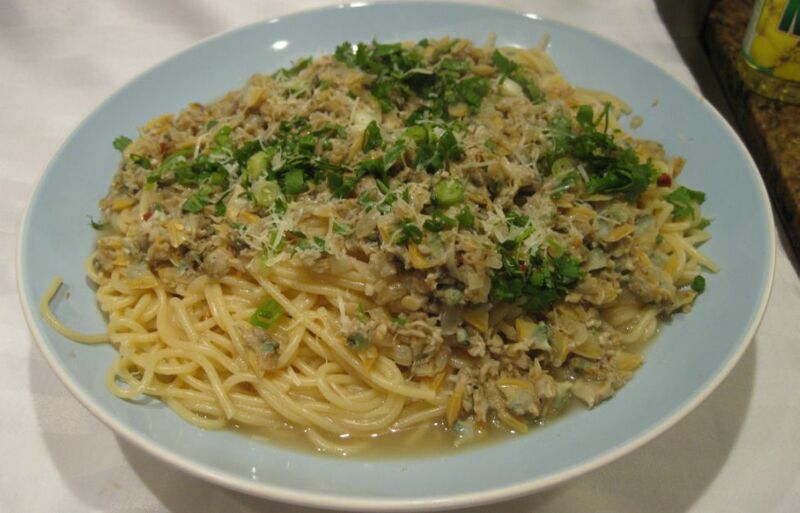 Linguine is usually paired up with clams sauce but I substituted Spaghetti for Linguine because that's what I have in my pantry! 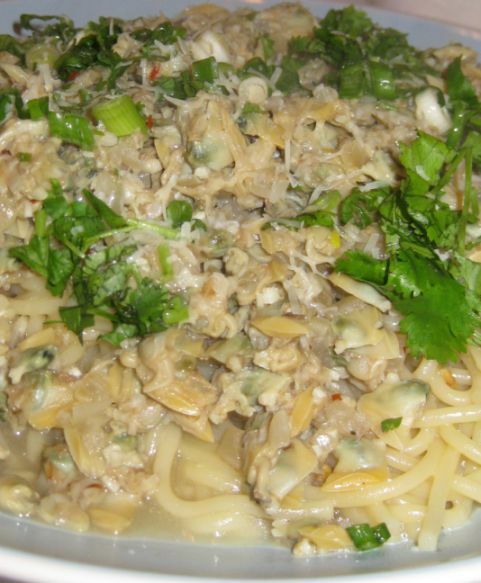 This dish could be fancier if you added steamed fresh clams but for a week night canned clams are just fine. This is my plate! 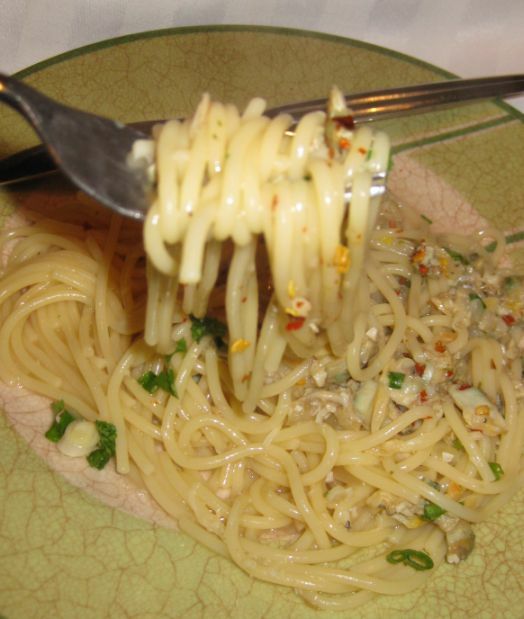 Since I like it a bit spicier I sprinkle a bunch of pepper and a bit freshly grated parmesan.. So yummy! 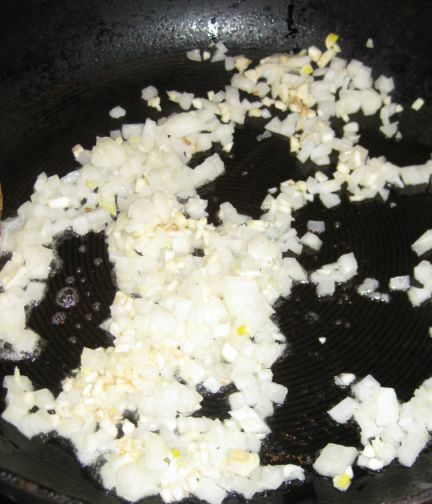 Chopping the garlic, and onion. 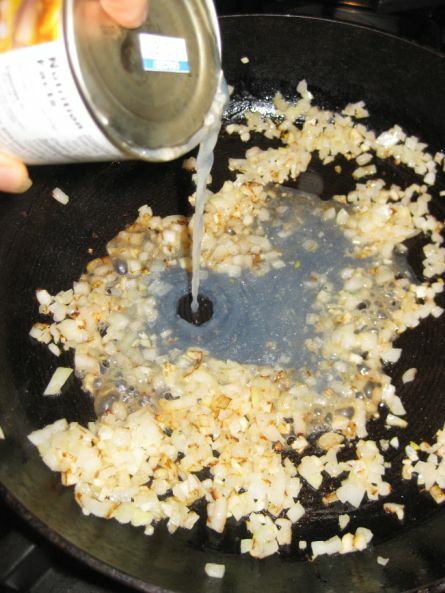 In a hot oil pan add the garlic and onion and sautéed until golden brown. 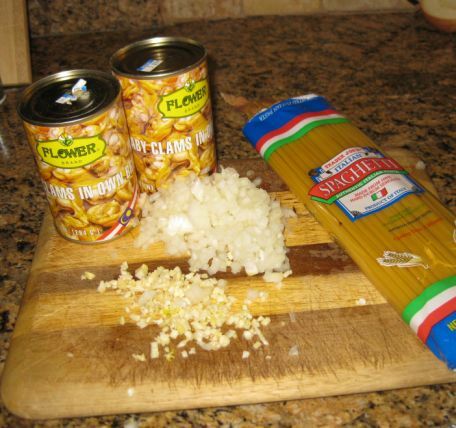 Once the garlic and onion are brown, add the clams juice in the pan. 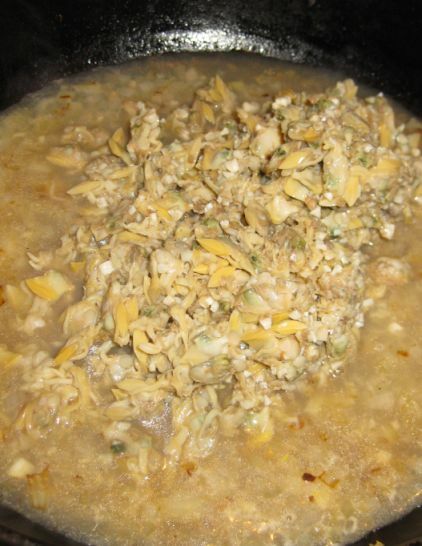 Next, Bring the sauce to a boil and reduce the heat to low and let it simmer for a few minutes. and taste for seasonings. 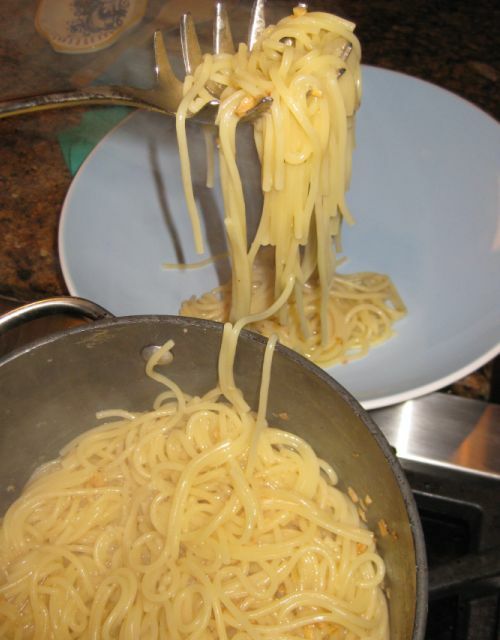 Cook the Spaghetti according to packaging and once it is done add a couple spoon of butter and season the spaghetti according to taste.